Both incidents are under investigation by police. A man was killed in a motor vehicle accident while riding his bike on Saturday afternoon. Suffolk County Police are investigating the death of 33-year-old Bruce Pye. Pye was riding his bicycle eastbound on Old Country Road when he collided with a 2001 Chevrolet Tahoe that was making a left turn onto Tuxedo Drive in Melville. Pye, of Farmingdale, was taken to Nassau University Medical Center in East Meadow and died on Sunday. The driver of the car did not flee the scene, however police are asking any witnesses to call the Second Squad at 631-854-8252. Police are investigating the details of a robbery that occurred on Saturday night in East Meadow. The 29-year-old victim approached a gray van parked at the Hempstead Bus Terminal on West Columbia Street in Hempstead at around 10:40 p.m. He requested a ride to East Meadow and entered the front passenger seat. After entering the car, the driver stated that he needed to pick up an additional passenger on the way. The second passenger entered the vehicle, sitting in the back seat behind the victim, and they continued to drive to the victim’s destination. The second passenger then placed a knife the victim’s throat and demanded his wallet. They took his wallet and dropped him off at the corner of Front Street and Norman Drive in East Meadow. They then fled the scene in the van with the victim’s wallet. The victim was not injured during the robbery. The criminals are both desribed as Hispanic men. Police are requesting that anyone with information regarding the robbery to contact Nassau County Crime Stoppers at 1-800-244-TIPS. All calls will remain anonymous. 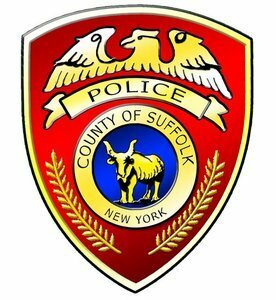 Subject: LongIsland.com - Your Name sent you Article details of "Crime Report: Bicyclist Killed in Melville Crash; Man Robbed in East Meadow"